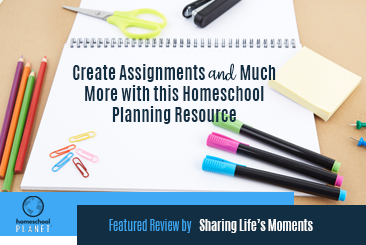 Crystal from Sharing Life’s Moments is our Homeschool Planet reviewer of the day. Sharing Life’s Moments is all about helping you make the most out of all your moments in life. Crystal shares with us most of her life’s interests and opens the doors into her insight into family life, making money from home, homeschooling, and hobbies & leisure. Crystal’s review of Homeschool Planet is super informative and shares her surprise of just how many features Homeschool Planet has. Crystal was easily able to use some of the many features of Homeschool Planet that other online organization tools just don’t have. She has a love for quotes and scripture, therefore quickly added those widgets to her family’s planner. Aside from a Homeschool Planet being a homeschool organizer, Crystal enjoyed being able to keep track of the books she needed to read for her reviews, shopping lists, and even her to-do lists. Do you know that Homeschool Planet emails a daily list of your child’s to-do list to them? 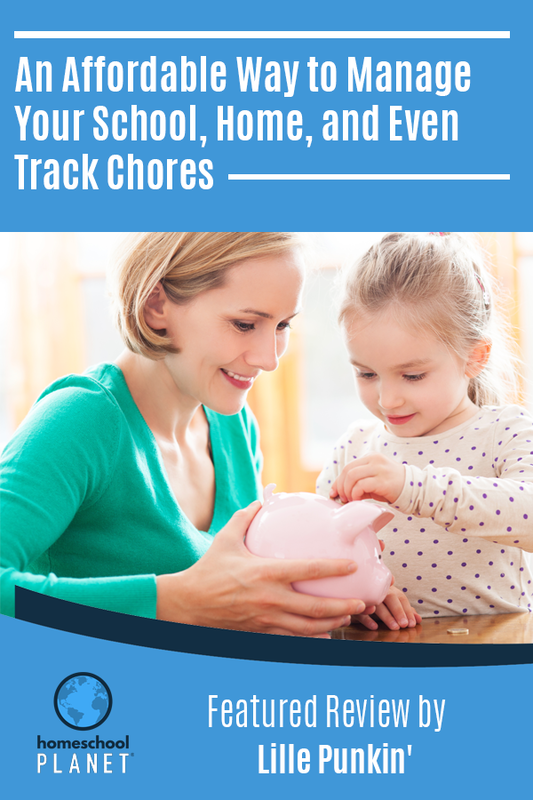 NO matter what homeschool curriculum you use, the assignments can be easily linked or added to Homeschool Planet in addition to daily chores and appointments. Click here to read all about Crystal’s Sharing Life’s Moments review of Homeschool Planet. Check out Homeschool Planet for yourself with a 30-day FREE trial. No credit card information is necessary to give it a try! At last — an easy, flexible, full-featured online planner that doesn’t require hours to learn. 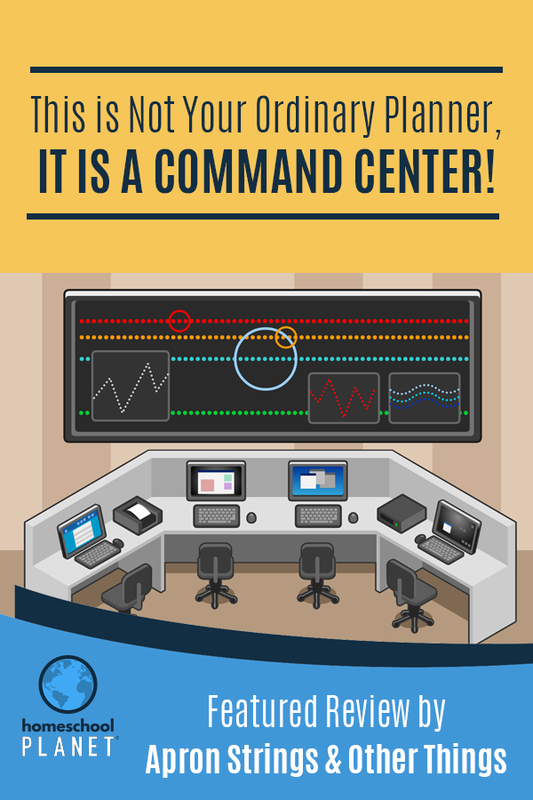 Just launch, click on the calendar, and start adding classes, assignments, and appointments! With Homeschool Planet lesson plans, homeschooling has never been easier! Today’s review is from Diana (FlyMama Di) at Homeschool Review blog spot. FlyMama DI is part of The Old Schoolhouse Homeschool Review Crew. She has generated trustworthy reviews of all types of homeschool curriculum, products, and resources. She is predominantly Charlotte Mason homeschool mom with a bent toward the Classic but admittedly is too creative to keep things clean. I am sure some of us can relate. She also is a crafter at Crafting for Online Angels, an amazing cause. Diana first reviewed Homeschool Planet in 2015, now she had the opportunity to review it once more to see all the new improvements and updates we have made. 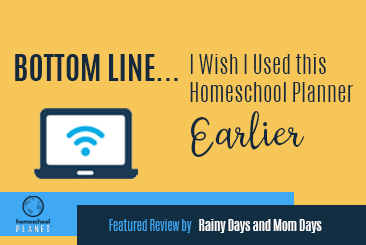 She found new features as soon as she set up the Homeschool Planet planner which allowed her to enter specific details about her child’s schedule right on the online homeschool planner. She also found some widgets that she was easily able to use with her family! Do you know that Homeschool Planet widgets are available for you to customize your online homeschool planner? A shopping list widget allows you to print, share, email and even text the list to a family member? 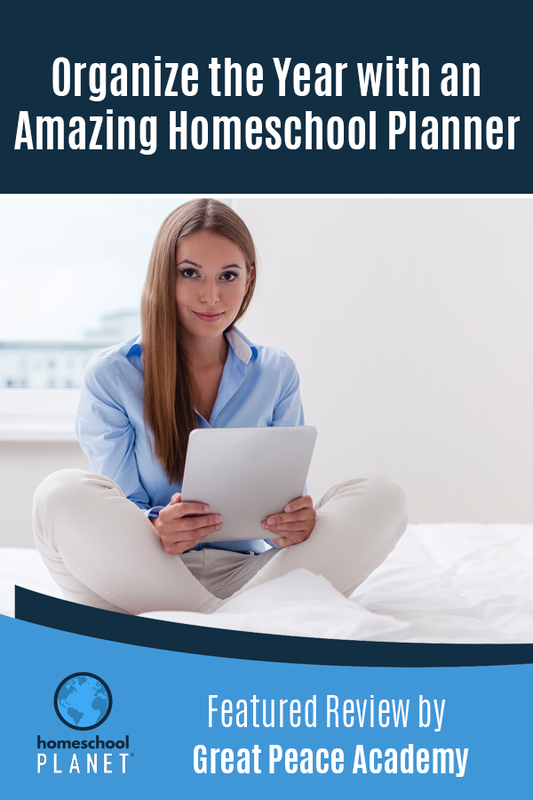 Click here to read Homeschool Review’s detailed review of Homeschool Planet’s homeschool planner and organizer online. 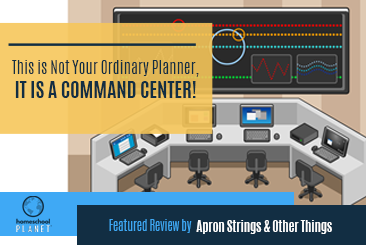 This is Not Your Ordinary Planner, it is a Command Center! 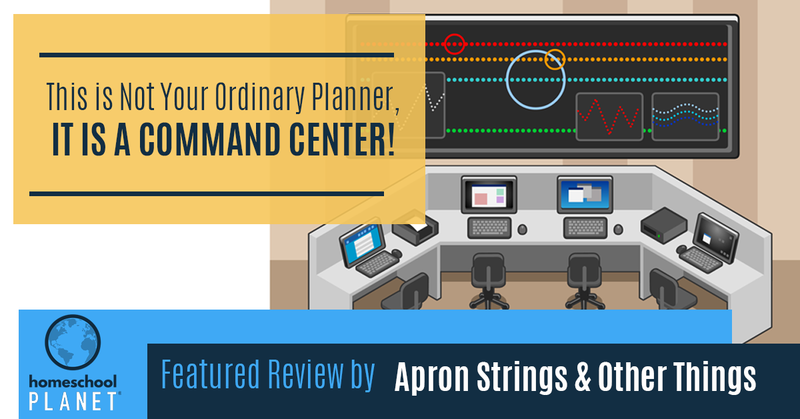 Today we would like to feature Linda Sears’ Apron Strings & Other Things review of Homeschool Planet’s homeschool planner online. Linda has been homeschooling for almost a quarter century and has been married for over 3 decades. The Sear’s have 8 children, 2 daughters-in-law, 2 sons-in-law, and 12 grandchildren. She began blogging years ago and she shares tidbits, tales, tricks, and tips from her days as a stay-at-home wife and homeschooling mother. You will enjoy all of Linda’s favorite recipes or creative projects along with her insight on raising a family. 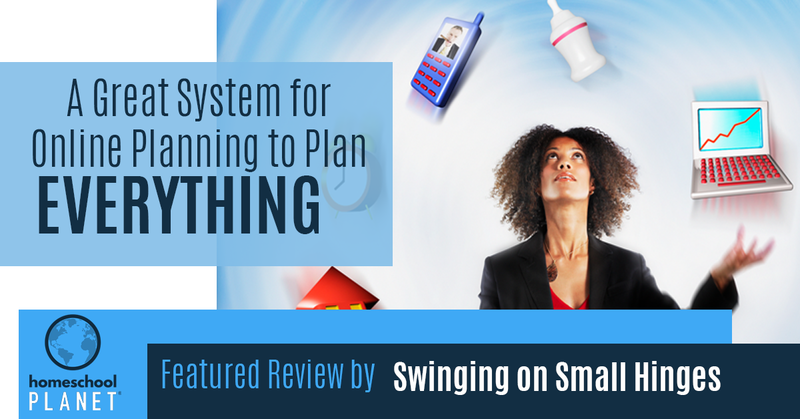 In her review, Linda says Homeschool Planet’s planner online is a tool ever homeschool mom should have. 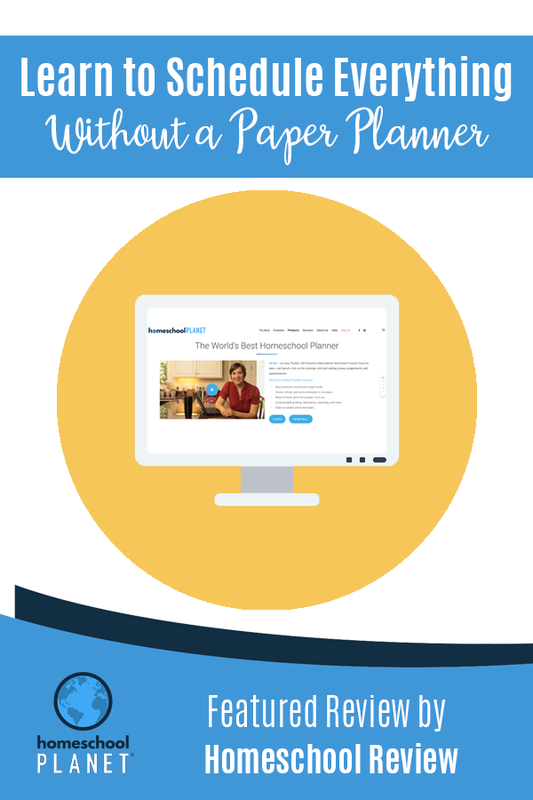 She used the Homeschool Planet video tutorials to help her through the customization of the planner to fit her family perfectly. 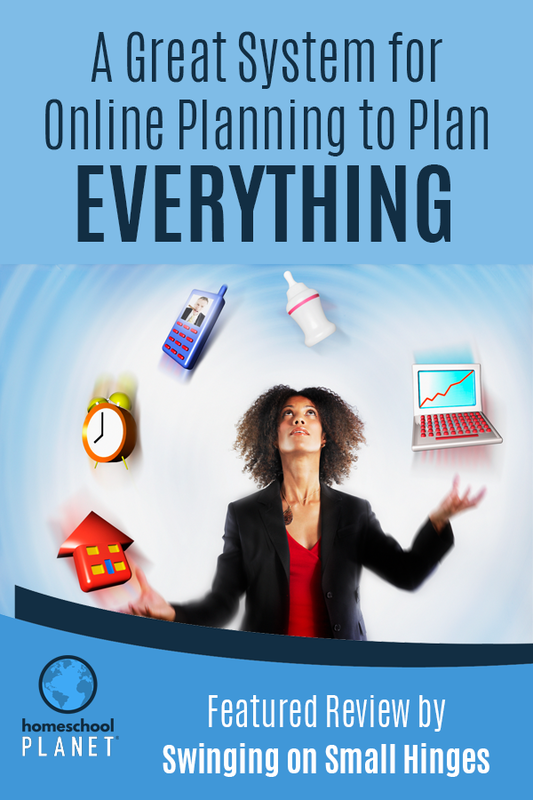 Linda took the time to get the hang of the Homeschool Planet online planner and saw the benefits of having a ‘command central’ of sorts right on the desktop of her computer. Did you know that your family can use Homeschool Planet with your PC, Google Calendar, Kindle, and Android? Click here to read Linda’s review of Homeschool Planet on Apron Strings & Other Things. 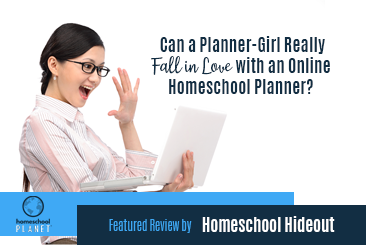 Can a Planner-Girl Really Fall in Love with an Online Homeschool Planner? Tiffany Jordan at Homeschool Hideout is providing this week’s review of Homeschool Planet. Tiffany has always been a hands-on mom to three super cool kids, one is a brainiac, one wants to be a Vet, and the other loves watching bull-riding videos. She started off as a young mom and has loved every step of the way. In Homeschool Hideout, you will find Tiffany’s take on hands-on parenting, homeschooling, and mom life. Head over to her site for a fun ride. In Tiffany’s review, she explains how Homeschool Planet was an answer to her dreams. Tiffany appreciates that she can plan out her whole homeschool year from start to finish with its easy-to-use interface. She believes this easy-to-use interface sets Homeschool Planet apart from other online homeschool planners. Her family benefited from Homeschool Planet’s ability to help create entire lesson plans, create shopping or to-do lists, reschedule assignments, and plan their virtual field trips. Did you know that Homeschool Planet can help you schedule an entire school year in just a couple of hours, including virtual field trips? Click here to read Tiffany’s review of Homeschool Planet on Homeschool Hideout. 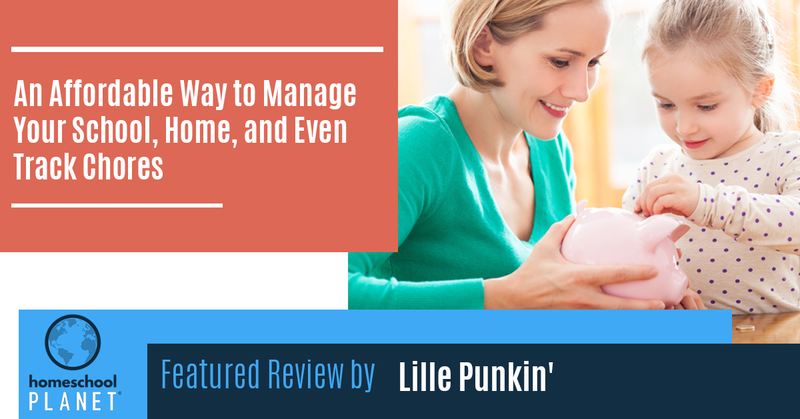 We are featuring today Lille Punkin’s featured review by Linsey Knerl for Homeschool Planet’s online homeschooling planner. Linsey is the homeschool blogger mom behind Lille Punkin’. She has 6 children and lives on a 4-acre farm in Nebraska with her husband, dogs, cats, tons of chickens, geese, and turkeys. Linsey has spoken in many engagements and has received mentions in The Christian Science Monitor, The New York Times online edition, The Boston Globe, The Buffalo News, LifeHacker, The Simple Dollar, The Consumerist, and TIME Magazine, and NPR’s The Real Life Survival Guide with Bruce Barber. Linsey blogs about food, entertainment, travel, and homeschooling. 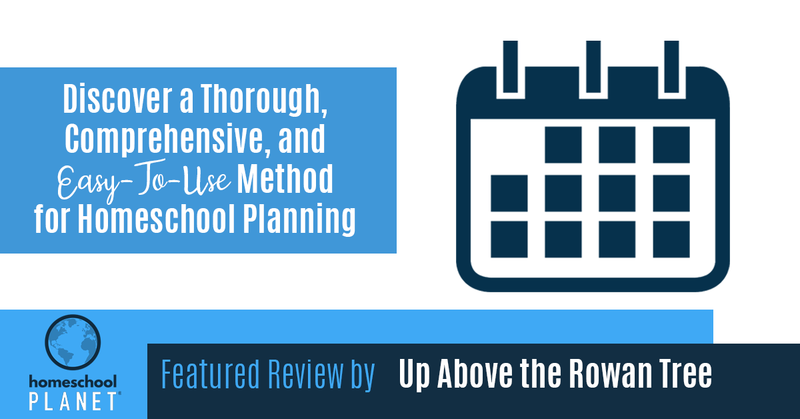 In her review, Linsey admits she has tried lots of planners over the years, each promising fully- customizable solutions to a multiple student homeschool. None really have fit the bill, so she decided to review Homeschool Planet’s planner online. A few of her favorite features on Homeschool Planet were the ability to keep track of student assignments and due dates, to keep a strict eye on attendance, the ability to generate an “official” transcript, the options of various views (day, week, monthly) for all of life’s events, and the resource section. Linsey said this is the first time she has actually been impressed by a homeschool planner that appears to have thought of everything. Did you know that a new resource tool on Homeschool Planet allows you to upload your own documents for easy reference, perfect for assignment or reading lists? 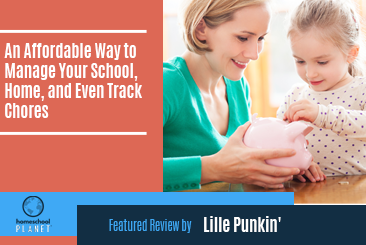 Click here to read Linsey’s review of Homeschool Planet on Lille Punkin’ blog. This week we are delighted to share Up Above the Rowan Tree’s Homeschool Planet review from Nadine Dyer. Nadine is a homeschooling mom of two and wife who lives in the beautiful, rugged, and sometimes chilly Northern Ontario. Nadine hopes homeschoolers can come to her blog for encouragement, ideas, support, and hopefully a little fun along the way. 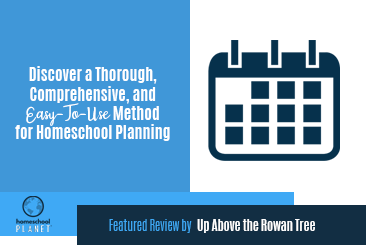 Up Above the Rowan Tree shares insight on classical education, secular homeschooling, help for the anxious mom, resources, and reviews that help you on your homeschool journey. 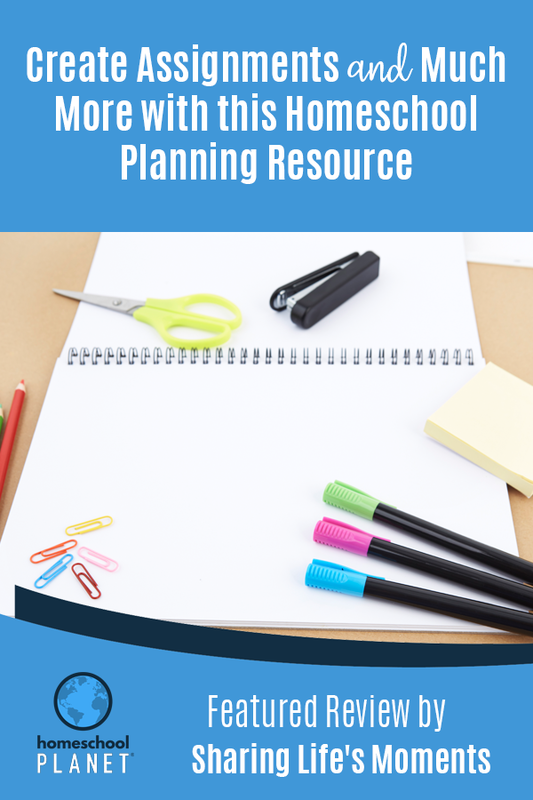 In Nadine’s review, she talks about the convenience of having a planner that allows for you to work “on the road”, in the car, at the library, or any number of places to save space and paper. She was excited to use Homeschool Planet when she found how easy it was to work with, to customize, and to create lesson plans. 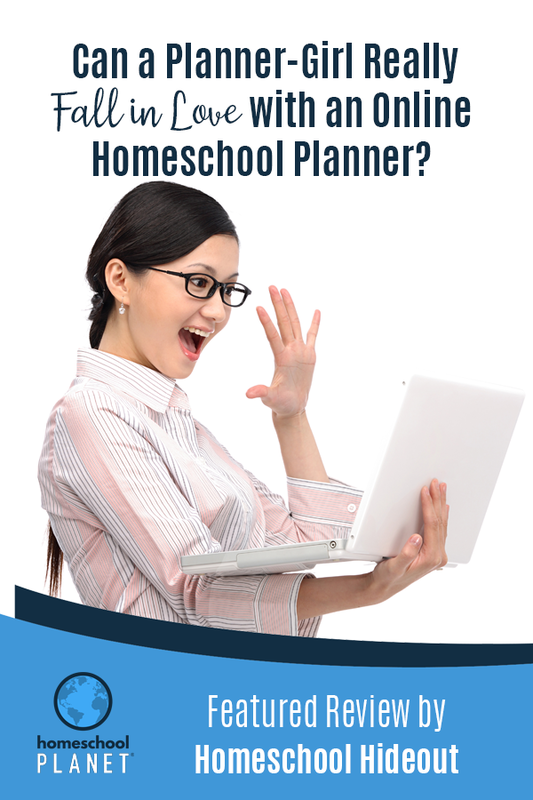 Did you know that in choosing Homeschool Planet’s lesson plans, all you have to do is select the lesson plan, purchase it, and it automatically gets slotted in your homeschooling schedule on the Homeschool Planet online planner? Click here to read Nadine’s review of Homeschool Plant on Up Above the Rowan Tree. 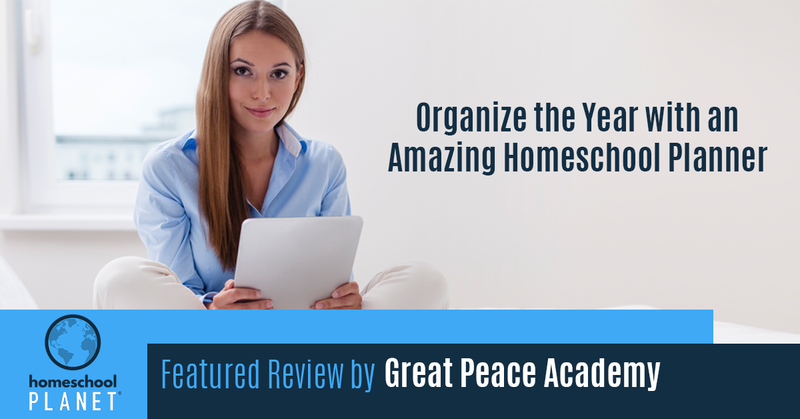 We are happy to share with you Renee Brown’s review of Homeschool Planet on her site, Great Peace Academy. Renee is a Christian, wife, and a homeschool mom. She shares tips, resources, and information to help us seek peace in life, marriage, and motherhood. Renee also is a virtual assistant who creates memes for the busy entrepreneurs who need quality memes to market and share their message or products. You can find her also at Great Peace Virtual Assistance to check out her amazing images. In her review, Renee explains why it is important to have a homeschool planner that also serves as an organizer for the whole family. 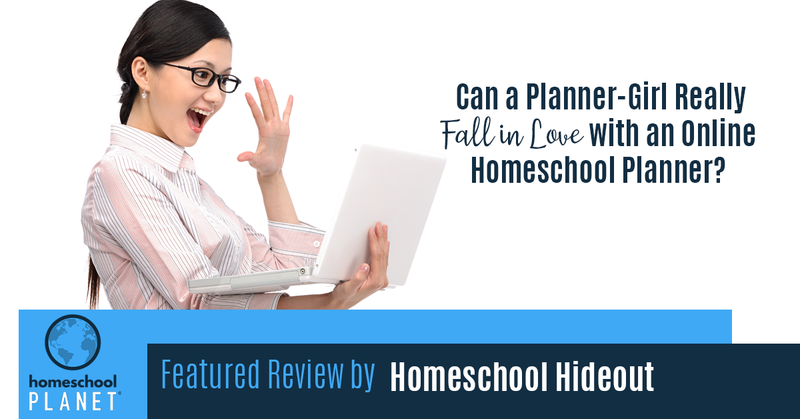 Her busy life as a homeschool mom, blogger and caregiver caused her to seek for an online homeschool planner that kept better track of her children’s education. 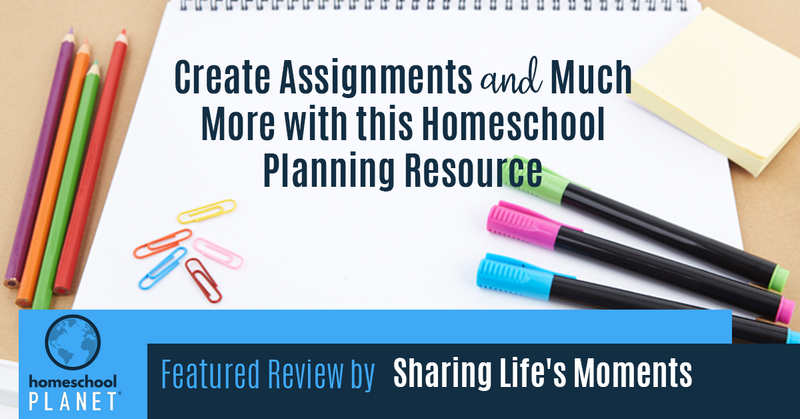 After using Homeschool Planet, Renee found that she could use it to plan out aspects of life for her entire family. 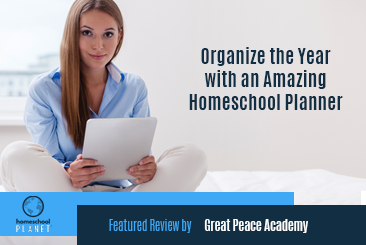 Click here to read Renee’s full review of Homeschool Planet on Great Peace Academy. 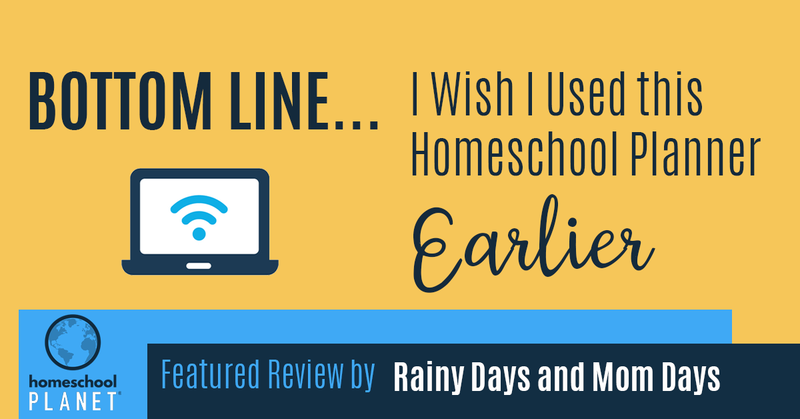 Rheea Hermoso-Prudente from Rainy Days and Mom Days is our featured homeschool blogger today for her Homeschool Planet review. Rheea is awesome at sharing her stories, experiences, lessons learned, struggles, and triumphs with moms who sometimes feel they are alone. Her site is full of insight on homeschooling, homemaking, parenting, relationships, sharing things that have helped her along the way, and her reeflections (yes, that is the correct spelling) on life’s happenings. Rheea is a self-admitted planner junkie. 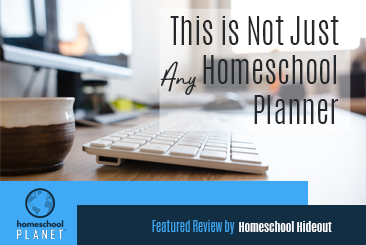 In her review, she describes Homeschool Planet as an all-in-one planner, meaning she can plan her homeschool “stuff” AND plan the rest of her life in it. 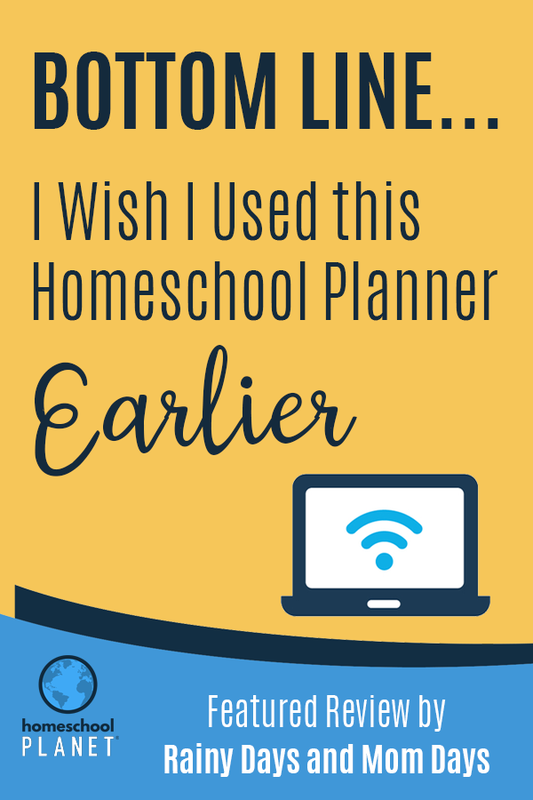 Her children, since they are able to log in separately, are also enjoying the homeschool planner online. Rhea began the process of setting up her Homeschool Planet organizer with adding all the fixings first. She set up classes, organized her family’s settings, uploaded family photos, set up attendance parameters, and everything else. She gives a great run down about how it all works. Did you know that Homeschool Planet has a Manage Family feature that allows you to organize each family member’s page, planner, and settings? Click here to read this review on Homeschool Planet. 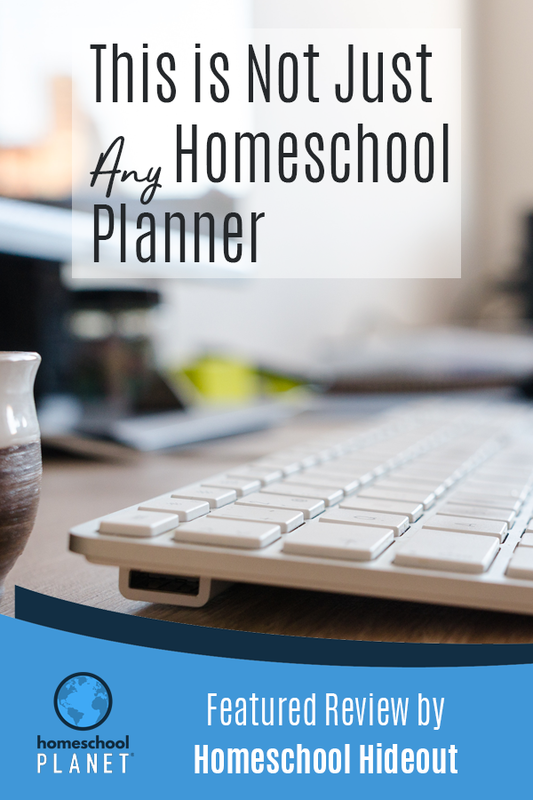 Need a Homeschool Planner Unlike Any Other? 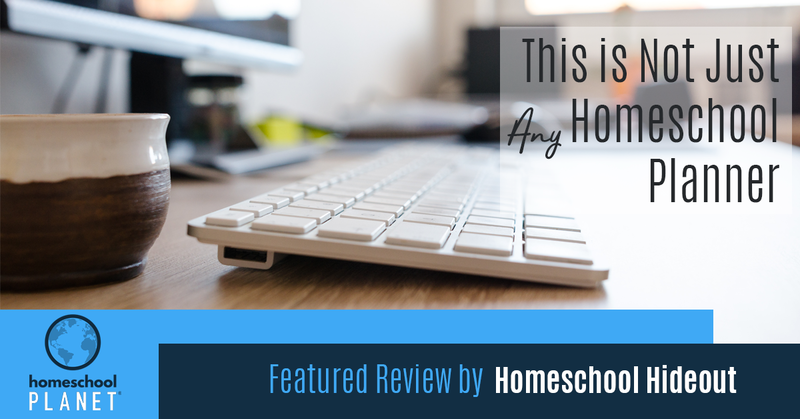 We are happy to feature today the Homeschool Hideout review of Homeschool Planet from Tiffany Jordan. Tiffany is a homeschool mom blogger who loves writing and having fun adventures in her homeschool. Being a stay-at-home mom has led Tiffany to understand the struggles that many homeschool families face. She enjoys helping homeschooling families with some laughs and learning tricks and tips for hands-on patenting, mom life and home education. In Tiffany’s review, she shares the four reasons a the homeschool planner junkie in her switched to Homeschool Planet’s online homeschool planner. Tiffany loves how you can do anything in this homeschool planner online like schedule your year’s field trips to creating entire lesson plans. Did you know that you can easily schedule your whole year, from start to finish with Homeschool Planet’s easy-to-use interface? We would like to highlight a review from Stephanie at Swinging on Small Hinges. Stephanie is a homeschool mom who does reviews and helps ou the homeschooling community with her helpful blog and homeschooling reviews. We are glad to have her and get her to take on using Homeschool Planet. 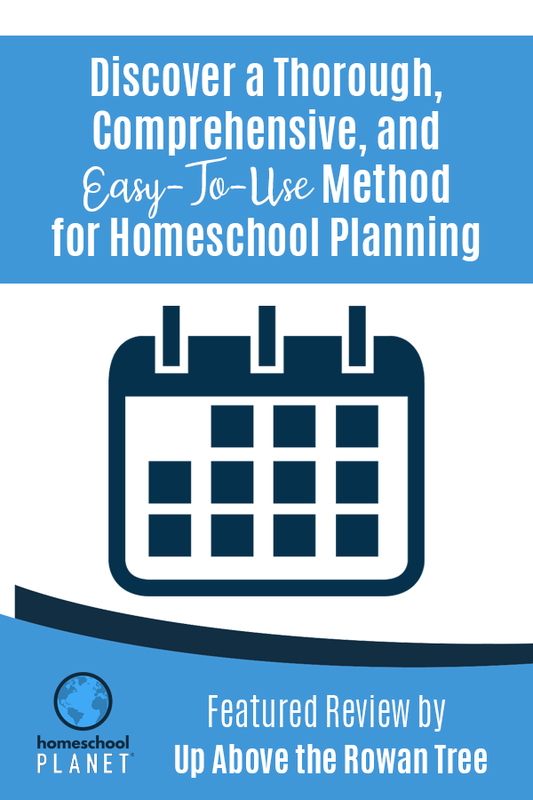 Stephanie is usually a pen and paper gal but took the plunge in trying Homeschool Planet’s online planner to brush up on her homeschool organization. 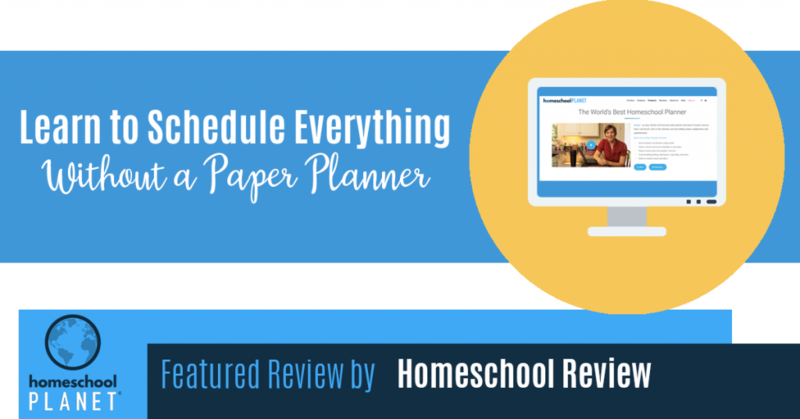 In her review, she explains how she shortly discovered that Homeschool Planet’s homeschool planner online is a virtual planner for just about EVERYTHING. 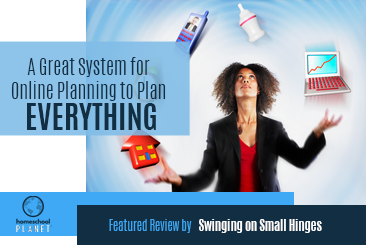 She says it’s everything you need to organize your homeschool and your home. Did you know you can not only schedule your homeschool classes but you also can schedule vacations, dentist appointments, chores, birthdays, anniversaries, parties, dinners and just about anything with Homeschool Planet! ?